Laptops with 1TB solid state drives (SSDs) tend to be the exception to the norm these days, but that may be about to change. 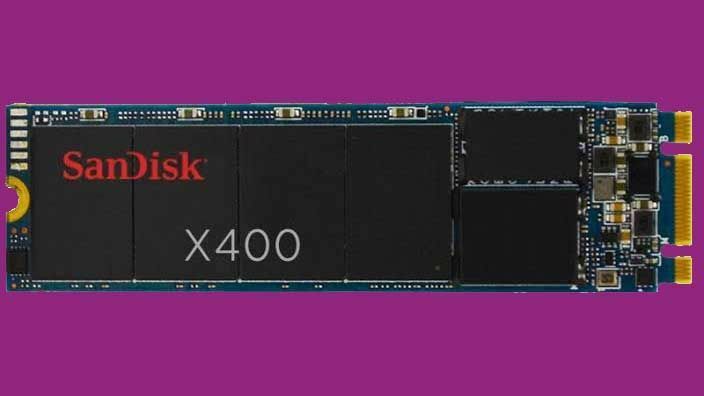 SanDisk has used CES 2016 to announce the 1TB X400, a large-capacity SSD that's being made available to laptop makers for baking into future models. It offers enough space to store around 2 million 500K-sized photos, which is roughly the number of cat pictures on the internet. Probably. The drive is being made available in the smaller M.2 form factor, in addition to a cased 2.5-inch form factor. SanDisk is also making it available in smaller 128GB, 256GB and 512GB capacities. SanDisk has also announced the Extreme 510, an external solid state drive that holds a still-quite-meaty 480GB. Its rugged design and IP55-rated construction makes it suitable for slinging into a backpack, and it can withstand being dropped, splashed and generally subjected to a fair amount of punishment. The Extreme 510 offers fast transfer speeds of up to 430MB/s, making it a suitable option for frequently uploading high-quality 4K movies. Finally, SanDisk has unveiled a portable storage device called the Connect Wireless Stick. Available now in 128GB (£39) or 250GB (£80) capacities, it features a USB connector for use with laptops, while smartphone users can connect using Wi-Fi to access content on the drive.